Known for its spirited atmosphere, artistic pedigree, gastronomic traditions and revolution, Madrid is the capital and largest city of Spain. 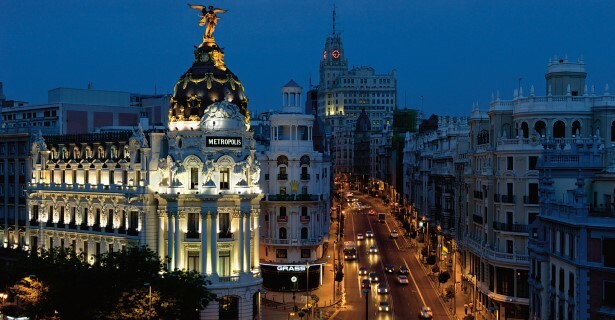 With a population of 6.5 million in the metropolitan area, Madrid is not just clearly a favorite of the locals but of visitors as well. Because of its touristic offerings and the satellite of attractions easily accessible by Madrid motorhome rental, campervan hire or RV rentals in Spain, the Spanish capital is a great place to start off in a campervan rental. As befitting the country’s capital and one of the most visited destinations in Western Europe, Madrid brims with museums and galleries that to truly give them justice, a few days’ exploration in your Madrid motorhome rental is in order. While it cannot match the artistic collection of Paris, Madrid’s Prado Museum is home to a veritable gathering of Goya, Velazquez, Raphael, Rubens and Rembrandt. The Reina Sofia National Art Center, on the other hand, showcases Spain’s distinguished sons Pablo Picasso, Joan Miro and Salvador Dali. Your campervan rental in Madrid can take you to Toledo, an hour south, on a great day excursion made special by Toledo’s Roman ruins as well as its Arab, Jewish, and Christian influences on culture and architecture. Once overlooked, Toledo now copes with a steady stream of tourists especially during summer months when competition for accommodation is fierce. With a Madrid motorhome rental, you can secure yours without having to splurge on your budget. Another memorable trip by campervan hire in Madrid is to the royal monastery of San Lorenzo de El Escorial. Now a resort destination where hotels and restaurants flourish, it was originally founded as an aristocratic get away. With your camper rental in Madrid, drive to nearby Aranjuez, a Castilian town, less than an hour south, that sits where the Tagus and Jarama rivers meet. To see well-preserved 11th century walls that encircle an entire town, head to Avila a little over an hour northwest. About a two hour ride away and you will reach Cuenca, a medieval town, once ruled by the Moors and is famous for its cliffhanging houses that rise up multiple terraces. For more than just a quick dip into Moorish architecture and influences, perhaps a longer road trip down to Andalusia is in order. The trip to the Andalusian capital, Seville, is just five hours to the south by RV rental or campervan hire. Here, you will get to witness the spirited flamenco dancing, matador-instigated bullfighting, the portentous pageantry of Semana Santa (Easter Week celebrations), and a hodgepodge of Roman, Islamic, Gothic, Renaissance and Baroque artistic and architectural elements packed in one city. A short drive farther south to Jerez de la Frontera brings you to the world’s Sherry capital and center of Andalusian flamenco and horse culture. Then, with your Madrid motorhome rental, you can drive round the Mediterranean coasts of jetset favorite Costa del Sol and up to the autonomous community and third largest city of Valencia, known for its festive tomato fight La Tomatina and characteristic cuisine ‘paella.’ Break up the six-hour journey in your campervan rental in Madrid by enjoying the D.O. (designation of origin) wines of Jumilla, the fruits and cheeses of Murcia, the sundrenched and less-traveled coast of Costa Calida, and the frenetic beach- resort towns of Alicante.